Nokia 8 now has Camera Pro mode! Home / cameras / news / nokia / Nokia 8 now has Camera Pro mode! Juho Sarvikas, the Chief Product Officer of HMD Global revealed that the Nokia 8 has started firmware update V4.88B with over 600MB of size. The highlight of the update is the much awaited manual camera feature dubbed as the Camera Pro mode. The Camera Pro brings Lumia-like manual controls to the Nokia 8. It has easy to adjust ISO, shutter speed, exposure compensation, and white balance controls. It is basically like the one found on the Nokia 7 Plus with ISO 100 to 3200, 2 to +2, and shutter speed 1/500s to 4s. 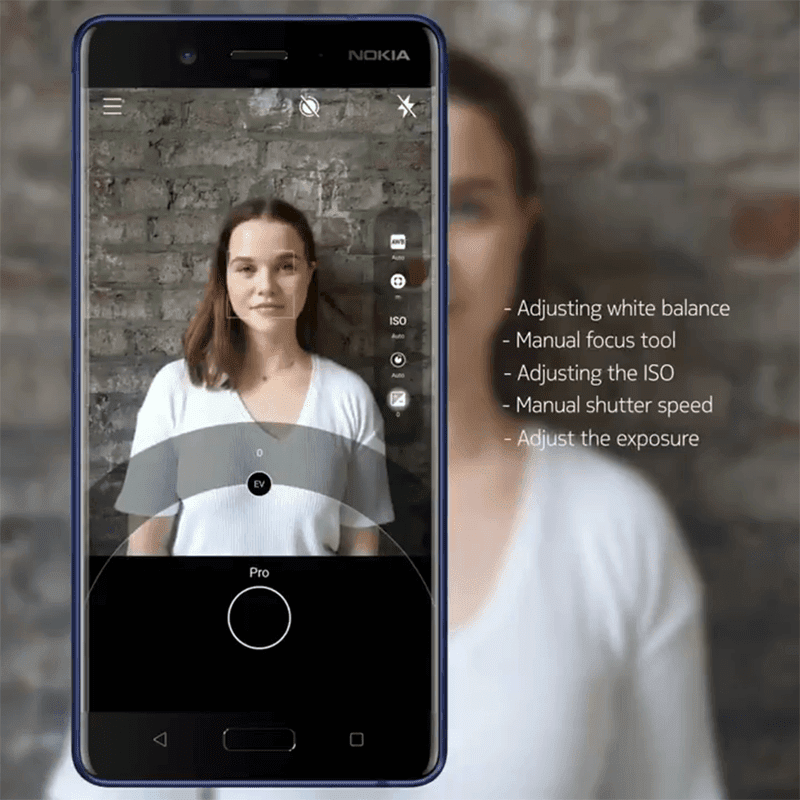 This new camera mode of the Nokia 8 should help its users take better photos if they know the basics of photography. This Camera Pro feature is already available in some of the new Nokia Android phones. Given Nokia's stellar update record, we won't be surprised if it'll reach other models of the new Nokia line as well.